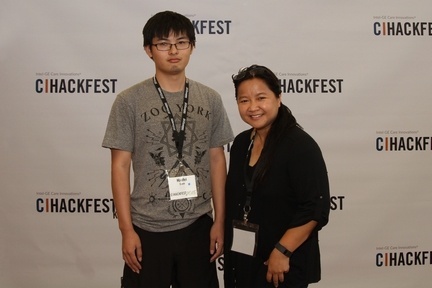 CI Hackfest 2015 was a three-day event attendees won’t soon forget. The Hackfest took place at the SIEPR Conference Center, in the new John A. and Cynthia Fry Gunn Building and the Landau Economics Building, which is centrally located on the gorgeous Stanford University campus. 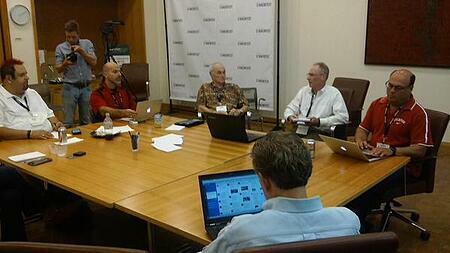 Eleven teams formed to take on this year’s Hackfest challenge: “Redefining the Care Team”. Teams were tasked with creating tools and innovative solutions to enable collaboration between clinicians, patients, and family caregivers. On the first night of Hackfest, each team pitched their ideas and unique approaches. After everyone had a chance to pitch, attendees could choose which pitch team they wanted to work with. Throughout the weekend, teams built product demos to be presented on the final day. 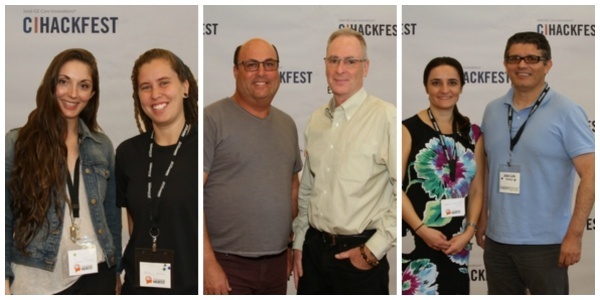 Although a group of mentors walked around to different teams offering advice as needed, the CI Hackfest also provided dedicated workshop time with mentors Karissa Price, CMO of Care Innovations, and Shawn Nason, Executive Director of the Xavier Center for Innovation. They provided valuable private feedback sessions with all 11 teams, helping them to validate their ideas and providing strategic feedback as they built and managed their ideas. 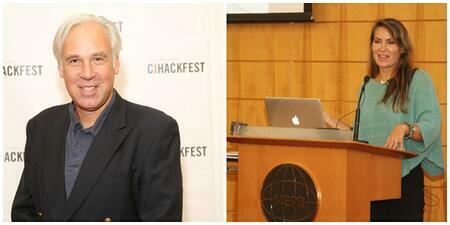 The teams at CI Hackfest 2015 were blown away by keynote presentations delivered by two of healthcare’s leading voices. Amedysis CEO Paul Kusserow enlightened the audience with a discussion of home health’s potential to transform medicine, current challenges, and the steps our industry can make to support the home care team during this critical transition in healthcare. Dr. Kyra Bobinet presented a collection of stories and examples of behavior change she has witnessed during her medical career. Sharing scientific and design insights, Kyra helped empower all attendees to design their innovative solutions with a human connection. The first place team, and winner of the $1,000 Grand Prize, was fitsleep.me! Eangelica Aton and Haofei (Phoenix) Chen pitched an innovative solution that aims to improve early intervention of Alzheimer's by educating users and caregivers on the risks of sleep deprivation. The second place team, Selfcare, pitched an innovative health information tool that will allow college students to make informed decisions about their health! Coming in third, Team Saving Lives pitched an innovative solution to reduce liability in the hospital setting and improve continuity of patient care via disruptive machine learning and artificial intelligence technology. And the fourth place team FaithHealth.Net created a mobile and network platform, combining social engagement crowd-sourcing, to support non-medical interventions and care plan compliance across the healthcare continuum. Are You Ready for Next Year’s Hackfest?